Summer is a season of the year that comes with drastic change in the weather condition. It comes with high scorching heat of the sun that usually increases temperature. The increase in the temperature usually causes lots of issues including damaging of the cars and the accessories. For that reason, most car owners usually search for the best way to enjoy absolute protection in their car during the unbearable summer heat. These are among the reasons this post is organized to provide you with 5 essential tips on how to protect your car for coming summer 2018. Getting a good car umbrella is one of the tips on how to protect your car in the coming summer 2018. Apart from making your car to perform perfectly during summer, it is important for you to also plan to make it look perfectly. The scratches and dents on your car need to be handles and corrected before the summer travel. So, you should consider investing into repainting of your car. But, you should not stop on this as you will equally need to plan for the protection of your freshly coated paint. You can protect the paint with the help of protective wax treatment. This can protect your car from the effect of hot summer weather. While getting sunshade this coming summer for yourself, you should also plan getting quality shade for your car. A good car sunahde can protect your car completely from effect of the hot summer sun. There are many types and brands of car shade in the market suitable for Summer weather. You can check through the internet to find the particular brand that will give you the effects you need. Some of the car shades are built with automatic control features with the use of remote control, cooling effects that can reduce temperature up to 36°C and others. With the increase in the climatic temperature, cars need to be well-hydrated in order to perform optimally during the summer. The reason is that increase in temperature usually result to increase in the gas evaporation. The interior of your car and the entire needs enough water to cool down to the normal temperature. Also the engine should be well oiled, the radiator coolant level enough and others. These are going to enable your air conditioning system continue to work all through your summer travel. When the temperature of your car rises, it can cause serious problem to the tires. The air inside the tires will expand during intense summer heat. So, when the tires are exposed to high temperature, the rubbers can get damaged. This can result to serious wears and tears of your tires. 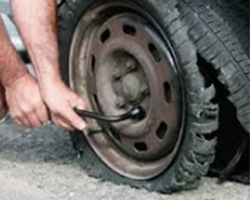 So, before hitting the road for your summer drive, you should check tire pressure ensuring it is at the normal level. Also, you should confirm whether there are weak spots, punctures or uneven wearing of the tires. Now that your car is ready for the summer 2018, you should encapsulate your preparation with automatic or semi-auto Lanmodo car parking shade. This is the car shade that can protect your car exterior against sun damage, the interior against unnecessary increase in temperature and others. It is also going to protect your car against dirt from any elements around. With the customizable feature of this car shade, you can be sure of enhancing awareness of your brands by marketing them on your car.